Oh my gosh Ahsoka Tano… To say I didn’t rage quit while making this doll a few times would be a lie. To get her hair to hold it’s shape without wire was the greatest challenge. I’m happy with how she turned out though, and extremely happy I didn’t give up on her. Absolutely beautiful!! I love all the details on it! Is there any chance of a pattern being avaible soon? tienes el patrón a la venta , me interesa. 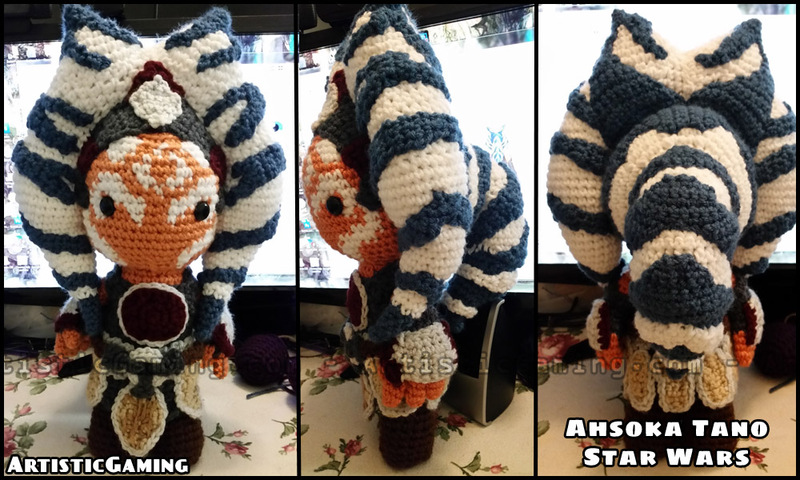 oh how much I would pay for a pattern of Ahsoka ;. ; Please I beg of you lol!